Not only as the capital of Scotland since the 15th century, the second largest city in Scotland has a historical heritage that made it included in the list of UNESCO World Heritage Site in 1995. The name Edinburgh comes from the ancient Gaelic language "Din Eidyn" which means " on a sloping ridge ". Edinburgh is home to the Scottish Parliament and has become one of the most popular tourist destinations after London. I traveled about 1.5 hours by train from Newcastle City Upon Tyne. The train stopped at Waverley Station in the center of town. 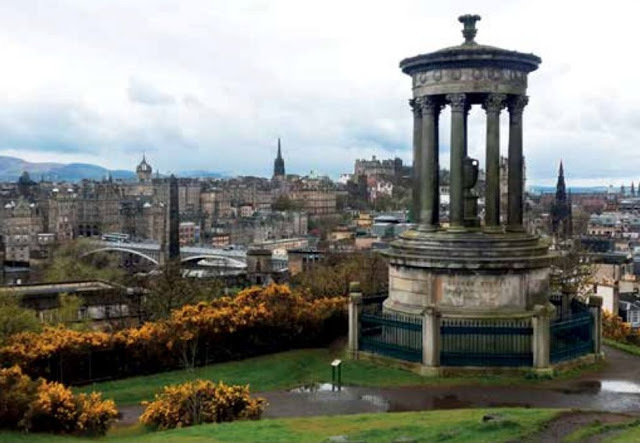 Though the skyline of Edinburgh looks a little dark, with the rain falling, and 0 ° C in the spring, it can not help making this hilly city show its beauty. Just in front of the station, there is a park with a high monument in the center named Princess Street Garden which seems to separate between the old town and the new city. And right in front of the park is The Scott Monument, a tower-shaped memorial dedicated to Scottish iconist writer Sir William Scott. From the top of this 6.1 meter-high gothic tower, tourists can see the city of Edinburgh by climbing 287 steps. On the south side is a hill where the old city stretches along a ridge, with Edinburgh Castle at its peak, descending until it ends at the Palace of the Royal Palace of Holyroodhouse. Along the way is filled with buildings that stood since the 17th century and elegant little alley called closes or wynds. 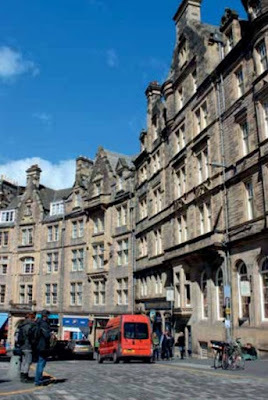 While on the north side is the new city of Edinburgh, with Princess Street and George Street as the district center. Before visiting the famous old town with its main street, the Royal Mile, the new city of Edinburgh is also a must see. This city is filled with buildings typical Georgian style of the 18th century is very beautiful, including Calton Hill. According to the story, the new city of Edinburgh was built in the 18th century through an urban design competition won by young architect James Craig in 1766. From a distance looks a hill with several monuments. That's Calton Hill; hill in the middle of town with amazing views. 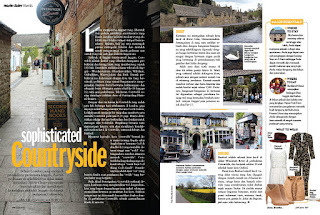 It is about a 10-minute walk from Waverley Train Station. On this hill there are several monuments, one of which is the Acropolis which was originally given the name of the National Monument, a monument similar to the Parthenon in Athens which is actually not fully completed. 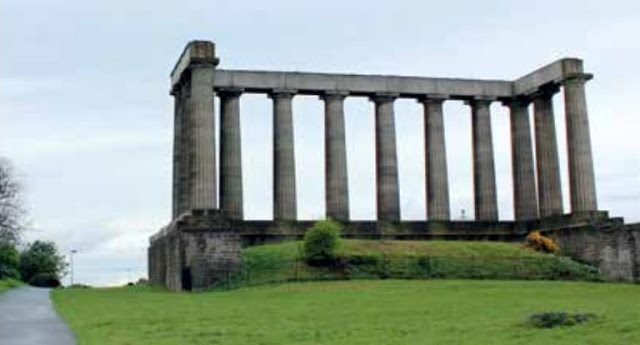 This monument was made in 1822 with the intention to commemorate the Scottish soldiers who died in the Napoleonic Wars, but never finished and only visible twelve columns were just standing up to this day. As far as the eye can see, you will see the soothing green grass, plus a view of the city of Edinburgh with a 360 ° angle from here. Apparently this hill was used as a favorite spot to enjoy the fireworks during the Hogmanay Festival took place. Some other buildings are also located here are two observatory, the city observatory and the old observatory house. There is also Nelson's Monument with a telescope-like shape facing up. After seeing Calton Hill, I headed straight for the old town on a different side. Then I walked across the North Bridge road and then down the hill down the long Royal Mile crowd to Palace Holyrood House. 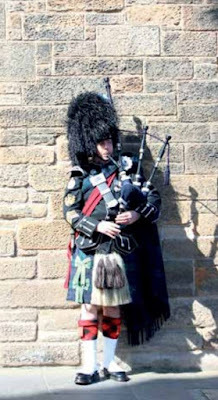 The Royal Mile, which means "over a mile" of 107 yards is the heart of Edinburgh's history. Along this road many buildings with hundreds of years old architecture. Here there are also various tourist attractions ranging from museums, restaurants, and shops down the streets. There are several roads connecting the Royal Mile, from Castlehill, Lawnmarket, High Street, Canongate, and Abbey Strand leading to the Palace of Holyrood. o get to the Palace of Holyrood, there are many historic places to pass. There is the Canongate Kirk Church, the Museum of Edinburgh and The People's Story Museum which are adjacent to each other. On this street I also found a shop that sells chocolate fudge, The Fudge House that has existed since 1949. From the outside looks simple and not big, but the display of chocolate fudge behind the glass is quite tempting and makes me tempted to buy it. And true, the taste of chocolate is so delicious! Right in front of the Palace of Holyrood there is a very modern architectural structure, the Scottish Parliament House built in 2004. This building had originally caused controversy because the building design is much different from the style of building of the city of Edinburgh is dominated by medieval architecture. 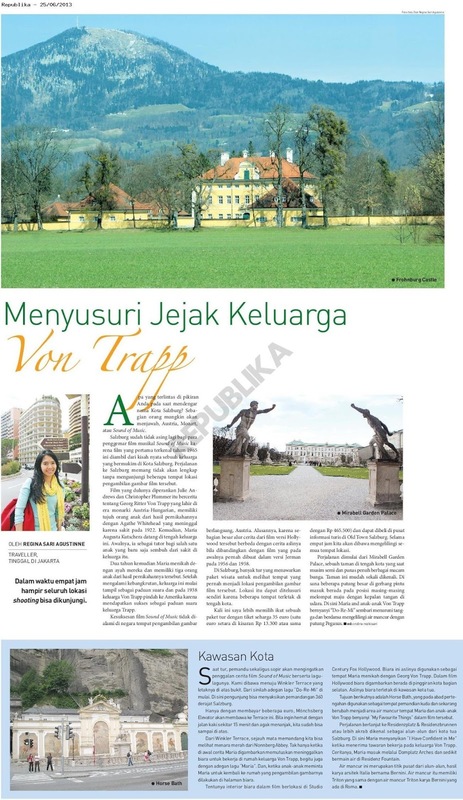 But this controversy subsided and now remains functional and can be visited by tourists at no charge at all. While in the Holyrood Palace complex which was formerly the home of Queen of Scotland, Queen Mary in the 15th century, Queen Victoria, and King George V is now the official residence of Queen Elizabeth in Scotland. The queen usually stays for a week early in the summer each year. Visitors can see 14 magnificent rooms inside a palace filled with historical value and still be used for formal occasions. There is a ruin of Holyrood Church built in the 12th century and the beauty of the backyard of the 640-hectare palace of Holyrood Park with its highest point; The Arthur's Seat hill is clearly visible next to the palace. After a few hours of visiting the palace, I returned along the Royal Mile to Edinburgh Castle Hill for about 10 minutes. Day is getting late, Edinburgh's main street is full of all the tourist attractions. Everything becomes an interesting object to be photographed, although some artists charge a fee if we take their picture. 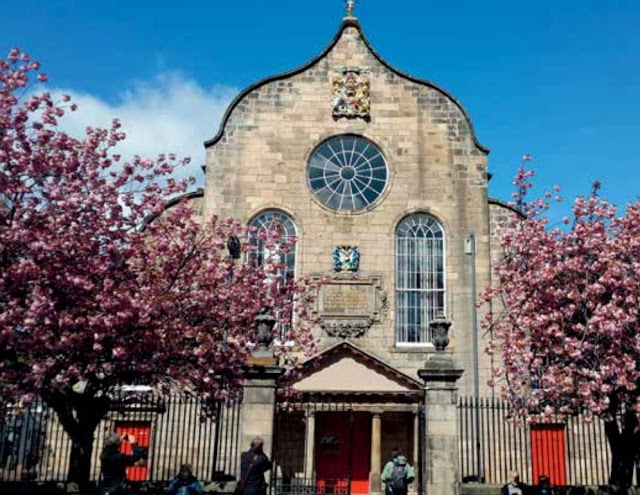 Just at the starting point of the high street, I saw an old building that looks like a church from the outside, it turns out is a marketplace, the Royal Mile Market in Tron Kirk. Formerly this place was a church until 1952, then turned into a tourist information center during the Hogmanay Festival until it finally turned into a market aimed at tourists and open every day for at least until the end of July. 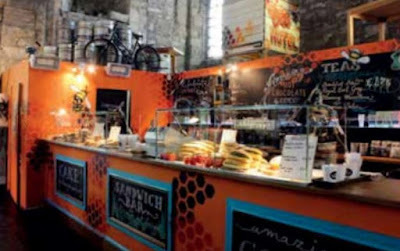 The area is not big, other than there are places to eat, there are some food stalls ranging from bakeries, cheeses to cakes, as well as who sells unique accessories. Already halfway to the castle, I passed a number of attractions, from Scottish Storytelling Center, Museum of Childhood and St Giles' Cathedral. The crowd was more visible when approaching the castle area. From the castle, I stopped at a souvenir shop that was right next to the castle. This great Tartan Weaving Mill and Experience store sells all souvenirs to tartan fabrics that are typical of traditional Scottish clothing. As I walked not far in front of the cafe, just at the end of the bridge was a fountain pedestal with a small dog statue that read "A TRIBUTE TO THE AFFECTIONATE FIDELITY OF GREYFRIAR'S BOBBY". 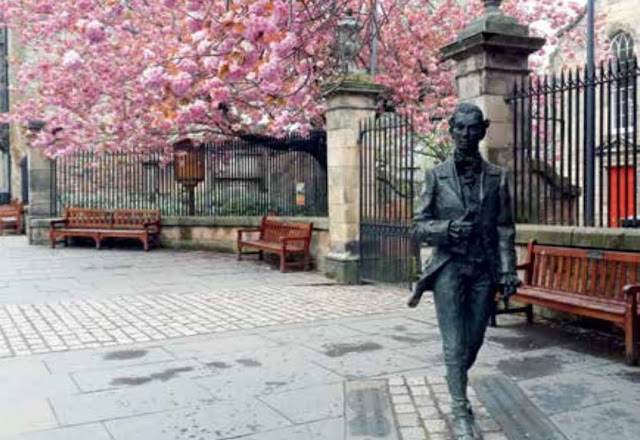 It turns out the statue has a historical meaning for the residents of Edinburgh. In 1850 there was a small skye terrier dog loyal to its owner, John Gray. 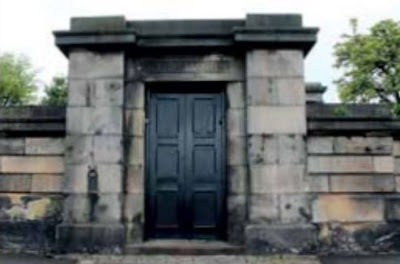 when John died in 1858 and was buried in Grayfriar Kirk, Bobby did not want to leave the grave even in bad weather until Bobby was sheltered so he could always be beside John's grave and be cared for by other locals. 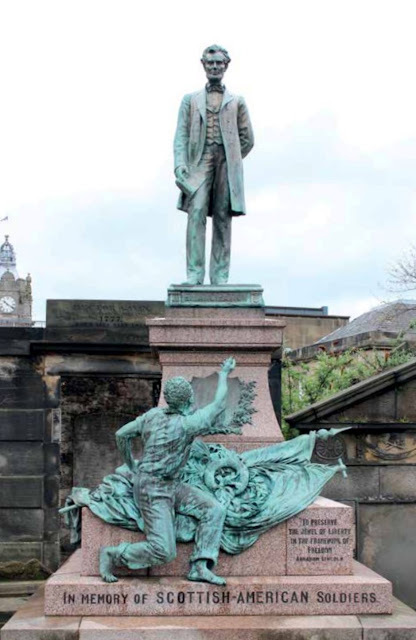 Bobby then died in 1872 and was buried in the same grave as John, the location is behind the statue. Just next to the tomb complex, there is a bar named Greyfriar Bobby's Bar whose name is taken to commemorate Bobby who is loyal to the owner. So touched to hear the story, finally the city council gave permission to establish a granite fountain with a statue of Bobby placed on it. There are still some tourist attractions that can be visited nearby, one of the Natural Museum of Edinburgh. The architecture of the building from the outside is quite modern but classic on the inside. There is also the University of Edinburgh known as an educational center, particularly in medicine, literature, science, and engineering. One day is not enough time to visit Edinburgh. The greatness of his past is just one dimension of the city's tourist attraction. While the beauty of the city landscape with a variety of old buildings built more than four centuries ago complete the other side of this city fame.